One step forward, two steps back on the M5 EU. I won’t be trading much over the next month as I use the festive period to refresh myself from the markets. I am always available through email though if you have any queries. 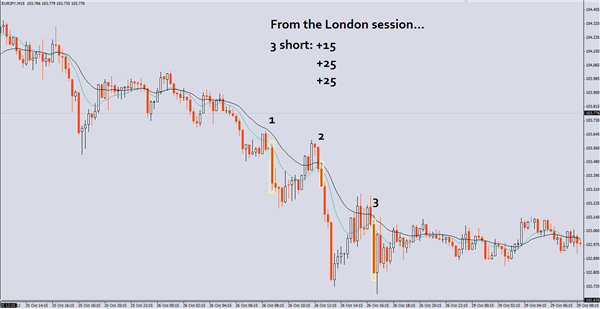 3 trades (or 4 if you were trading more aggressively) which all resulted in profit for November 2012. There was a loser at the end of the chart though that is marked for December. 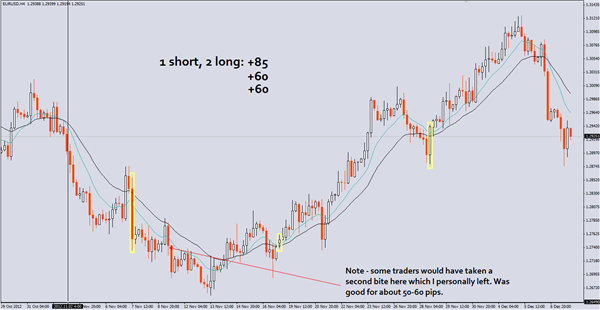 I traded some shorter time frames more recently also and had a D1 trade, all of which I will post here when I get a minute. 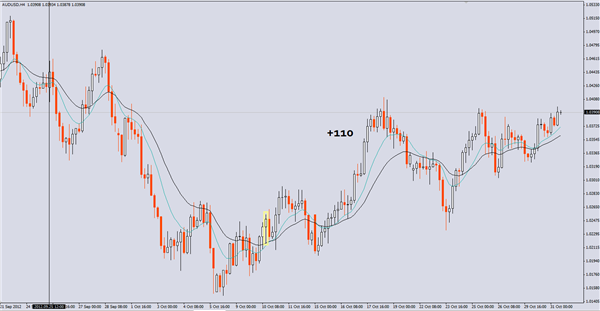 Overall I’d say the H4 charts are my favorite for trading these setups. Low maintenance trading and easy to trade with limit orders. The Aussie chart above shows October’s setups. Click the graph for a bigger view. 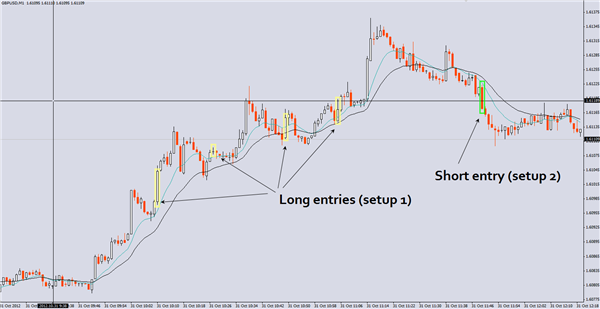 I know some of you like scalping on the very short time frames and while I don’t trade the M1 chart myself I wanted to illustrate how the Pipdaq setups can be found on all time frames and are equally as valid. The chart above includes both Pipdaq trade setups on the cable minute chart. Bars in the yellow boxes are from Setup 1, while the green box is a Setup 2 trade. Click the chart to enlarge. I have been liking the EY and AU pairs most on the infrequent times I scalp on short time frame charts. Price action seems to be smoother than other pairs in recent months. 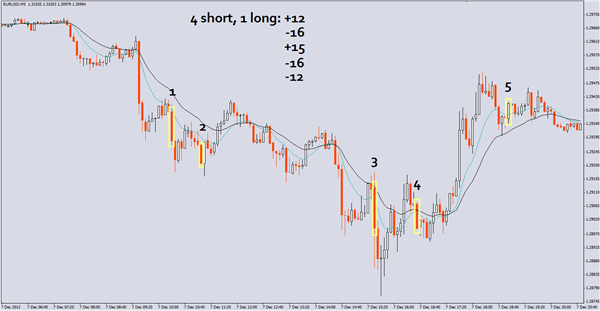 Here are some trades from the EY on the 15 minute chart recently taken. 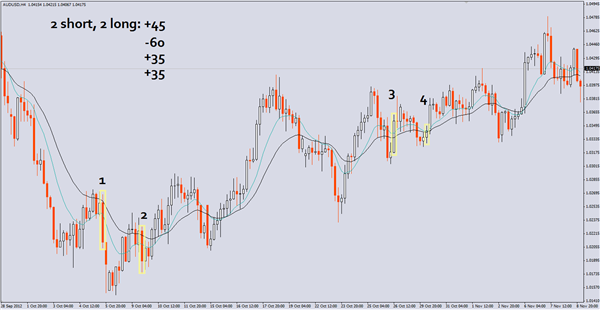 Here is an Aussie setup 2 trade which worked out just as nicely as the EU trade I just posted.